An examined coin is placed on a spectators hand. 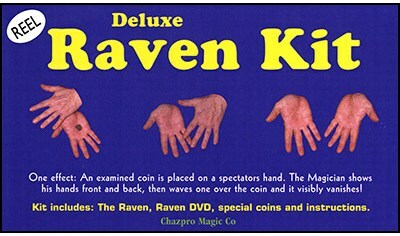 The Magician shows his hands front and back, then waves one over the coin and it visibly vanishes! 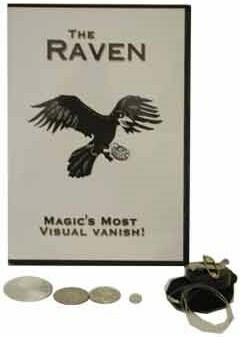 Comes complete with The Raven (Reel), special coins and online instructions.